Francis Fitzgibbon is a New Frontiers participant and the CEO and founder of StoryStock. He is a former reporter and producer with Newstalk 106fm, and documentary maker with TV3. Francis most recently worked as a political advisor in the European Parliament in Brussels, before returning to Ireland to start StoryStock. He completed the New Frontiers programme in March 2017 and was awarded Competitive Start Funding (CSF) in April 2017. 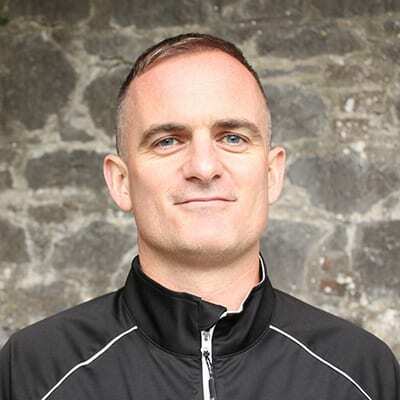 The Storystock team of committed storytellers is based between Kerry and Dublin, with a goal to build one of the largest storytelling platforms in the world, connecting brands and media with the best content creators. In his 15 years of working in the media, Francis identified a disconnect between the media and local communities. He noticed a habit of continuous rehashing of old content across mass media, which exists because of cost-cutting measures as companies try to compete with Google and Facebook, coupled with the constant demand for seemingly ‘new’ content. And so StoryStock was born, a platform that connects content creators with those who need content. The team at StoryStock have been building a quality team of journalists, videographers, bloggers and any content creator who can tell a good story. They gather content from their digital bank, which is a technology they built to allow storytellers from across the world upload their content. Fundamental to this platform is that is allows hyper-local stories to gain professional exposure. StoryStock’s goal is to delve into the hearts of local communities bringing quality stories and content to media and brands who need great stories from inside local communities, and they are hitting their target! StoryStock has already partnered with recognized media organisations which commission storytellers to write for them via the StoryStock platform. Brands, PR companies and agencies have also signed up for access to the wealth of content StoryStock is continuously curating.